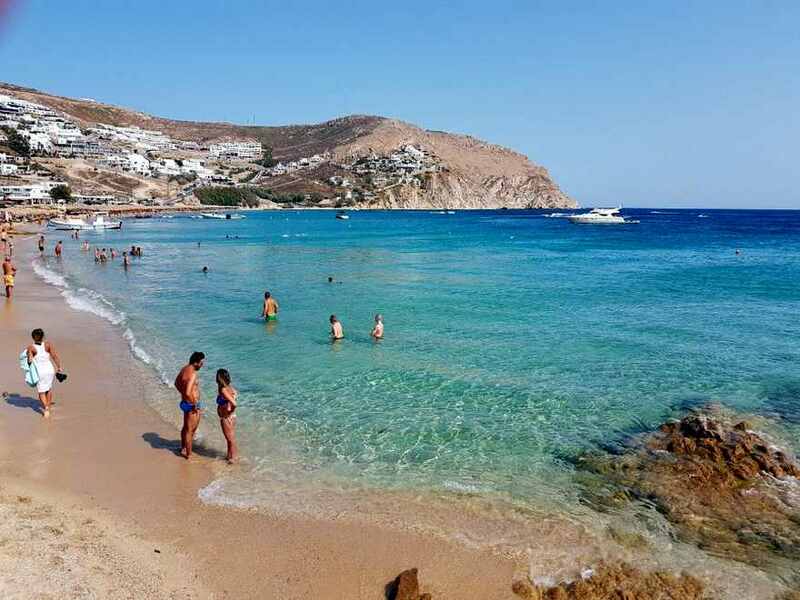 Welcome to our 2018 guide about the best beaches in Ios. 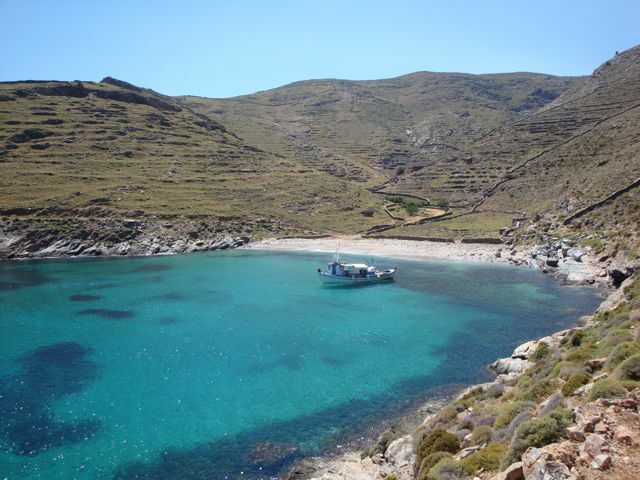 The following are by our oppinion the best Ios island beaches (best sandy beaches in Ios and not only). 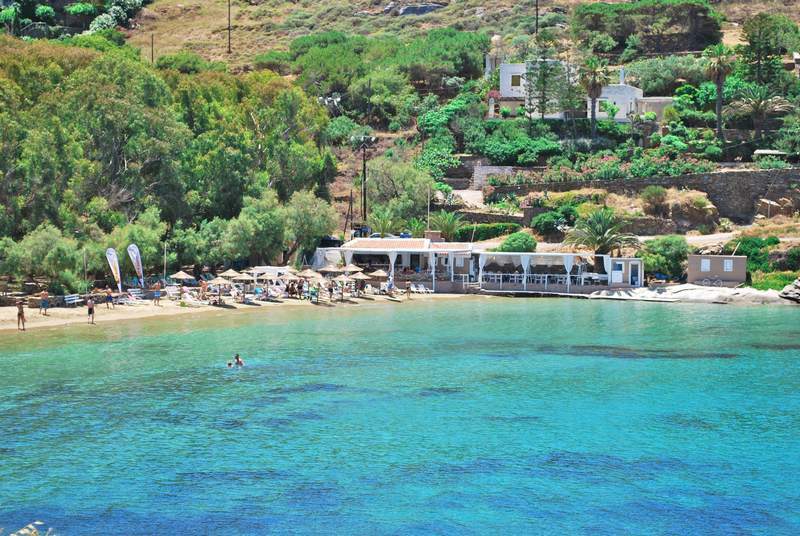 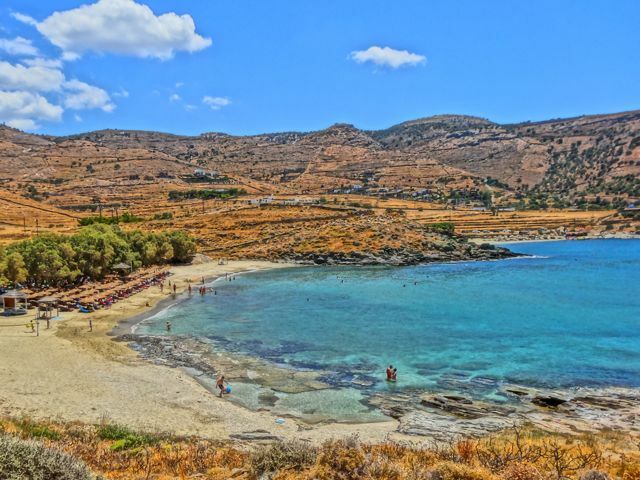 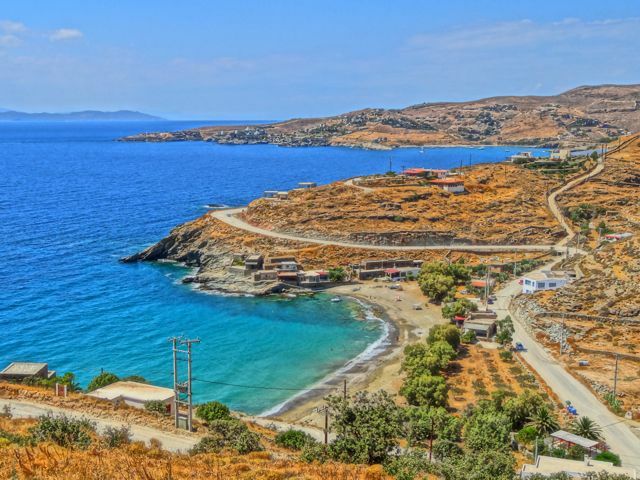 Ios Agia Theodoti Beach is located 14km from Ios Chora. 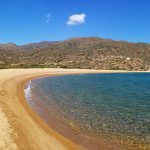 It is the ideal destination for those seeking quiet and relaxing atmosphere away from the crowds as one of the most peaceful beaches of Ios. 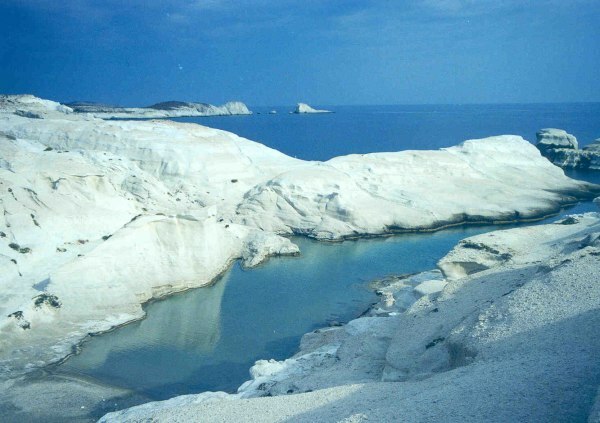 Moreover, it has spectacular view to Iraklia and Amorgos. 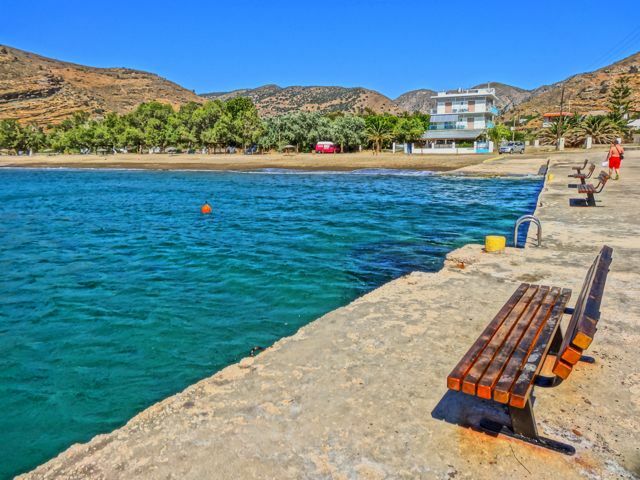 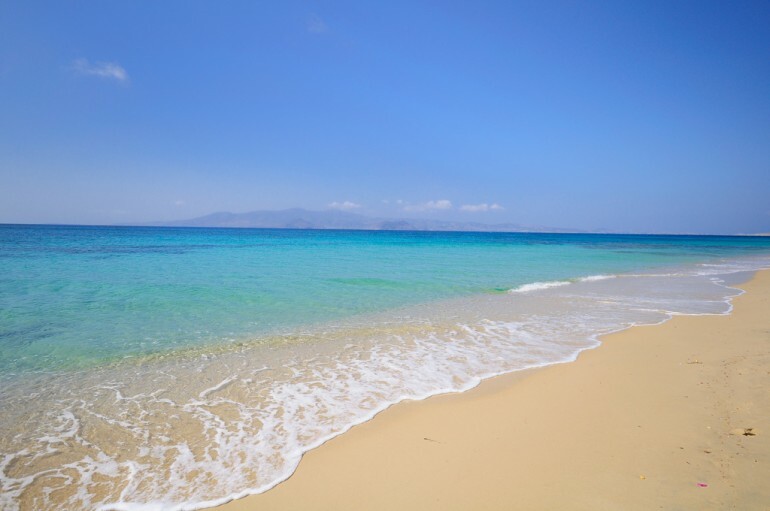 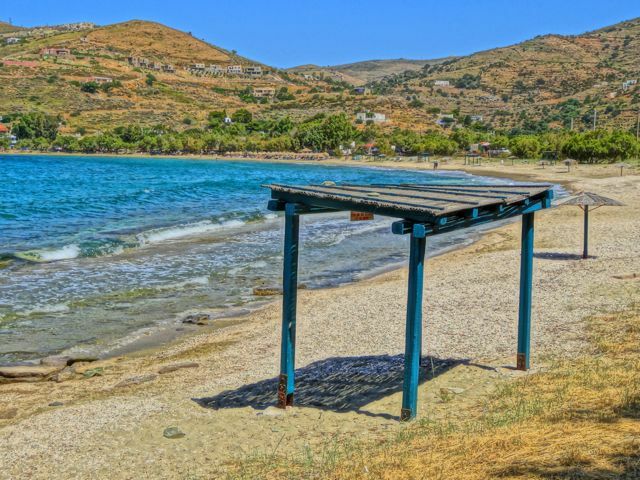 Ios Kalamos Beach is located on the eastern coast of Ios 16 kilometers from Hora. 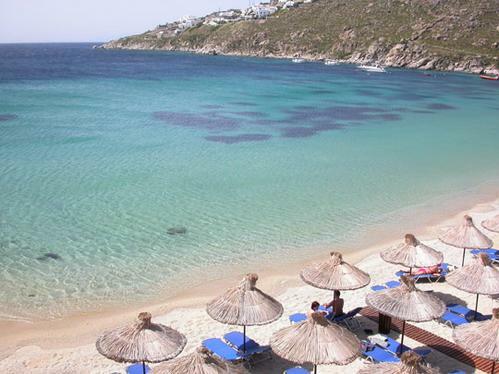 Kalamos beach and Papa Βeach are the most beautiful beaches of Ios. 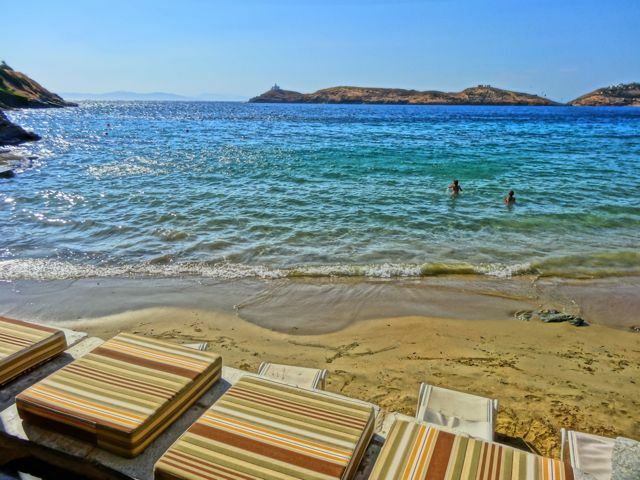 It is an ideal destination for those who wish to enjoy swimming in a calm and relaxing environment relatively isolated. 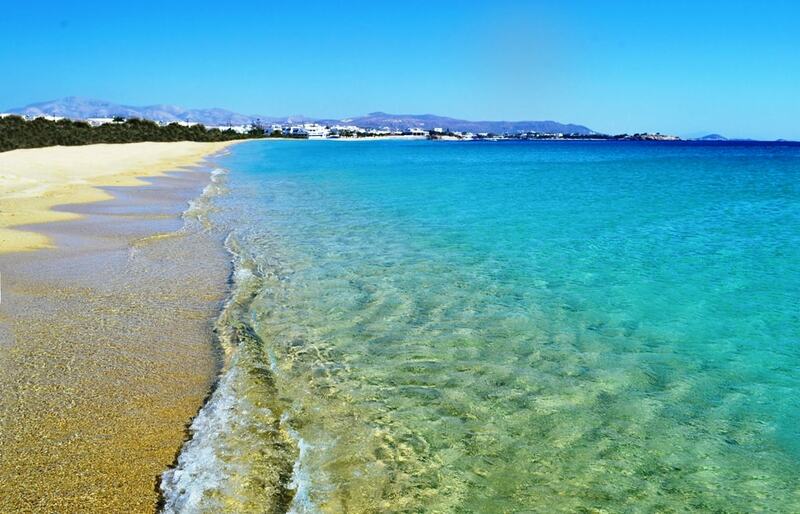 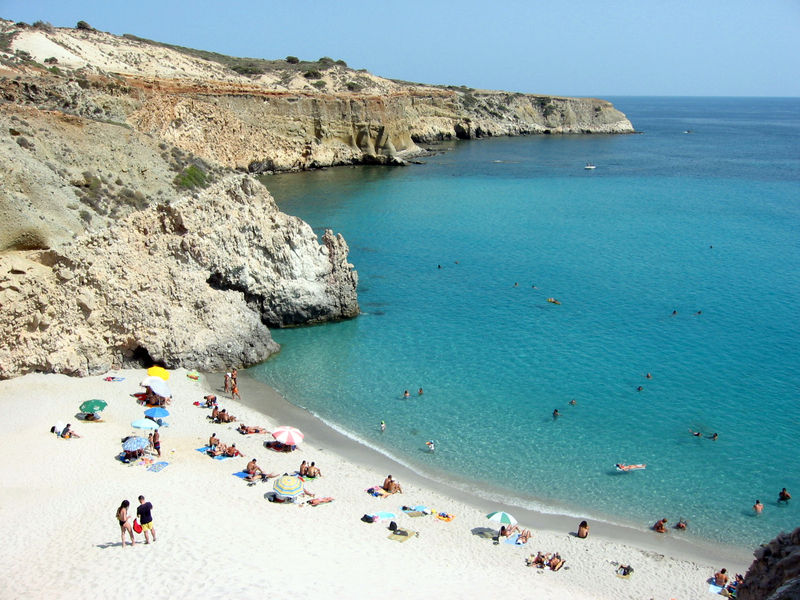 Ios Koumbara Beach is located 5 kilometers from the town of Ios. 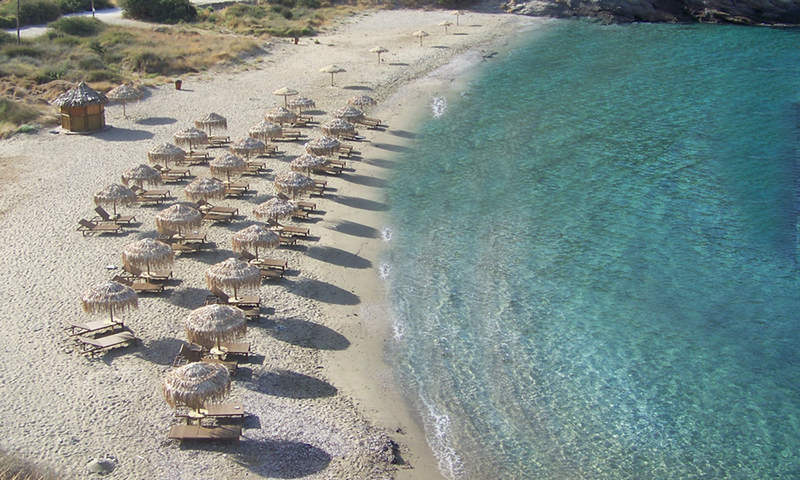 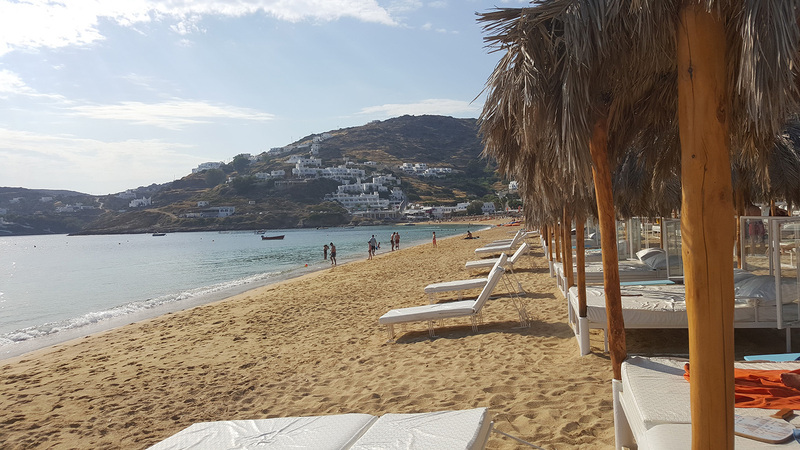 It is the best beach close to Chora. 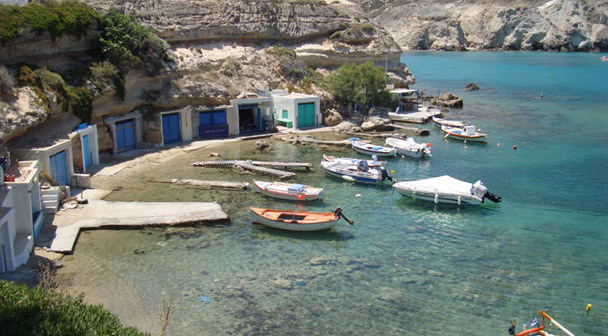 It gets popular with young people mostly. 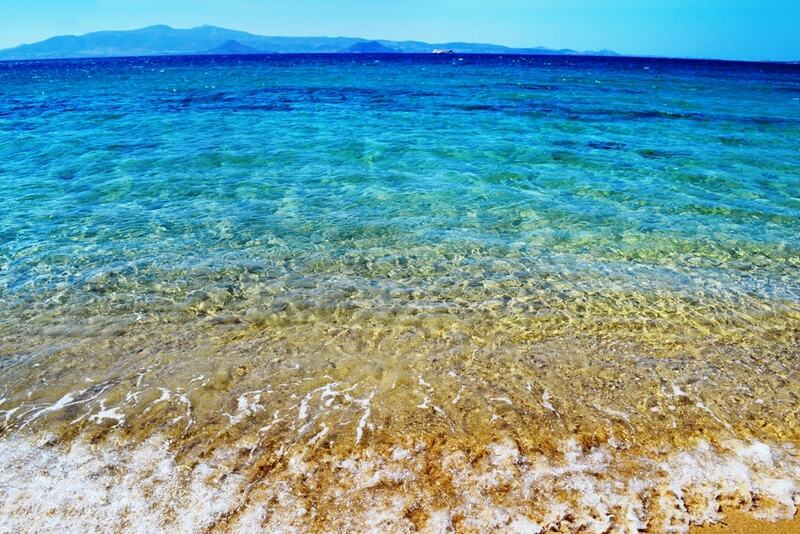 Its sand is very soft and pall. 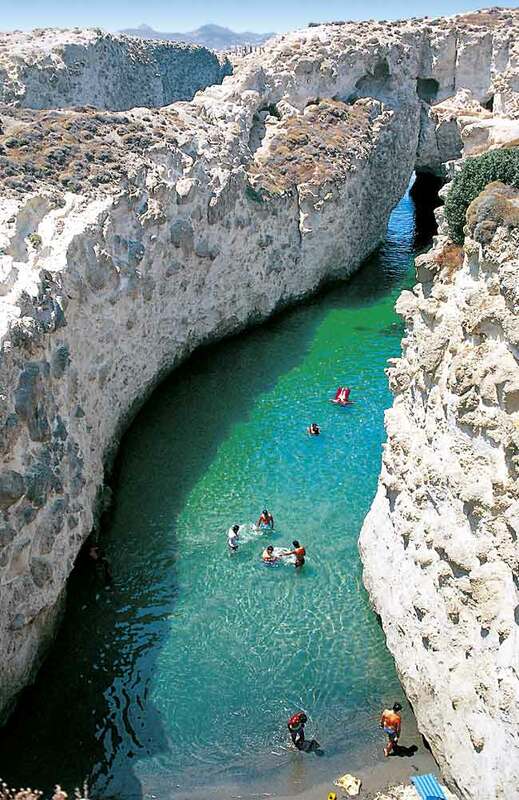 It has a lenght of almost 200 meters and it is circular in shape. 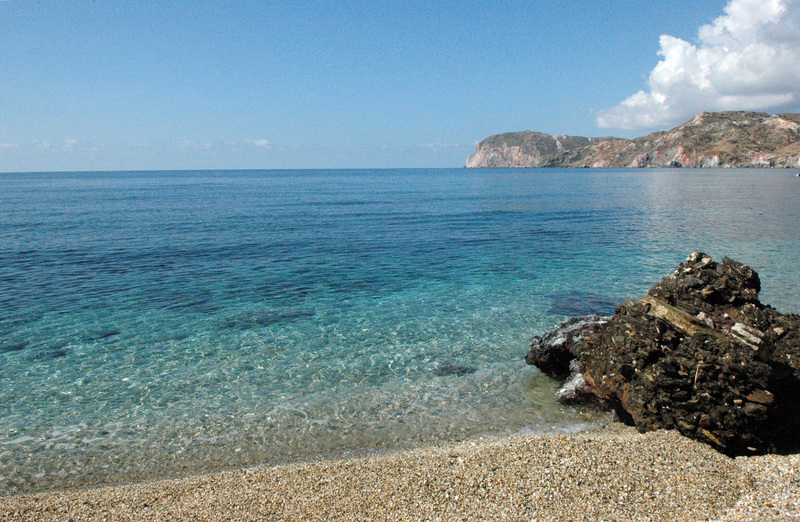 At two ends of the beach are rocks which are an attraction for lovers of diving. 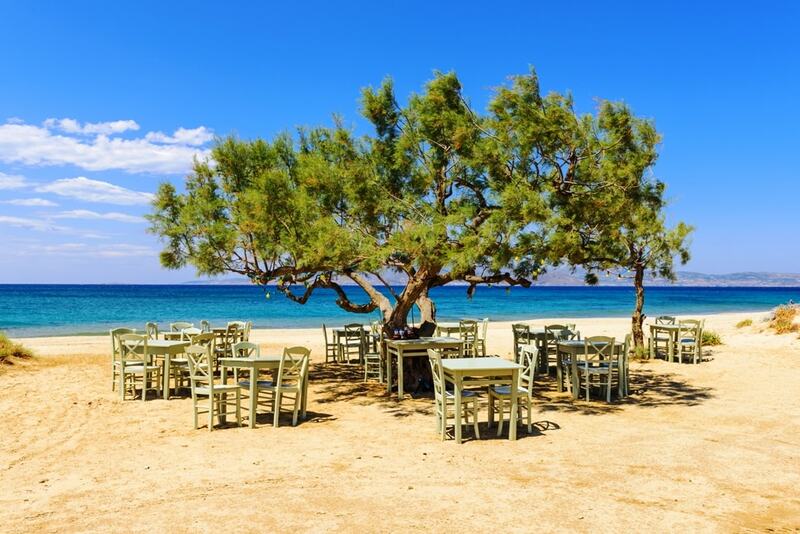 There is a tavern at the edge of the beach and it cooks deliciously. 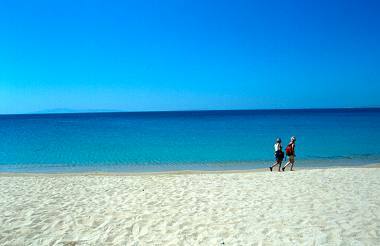 Ios Manganari Beach is located 23km south of Chora. 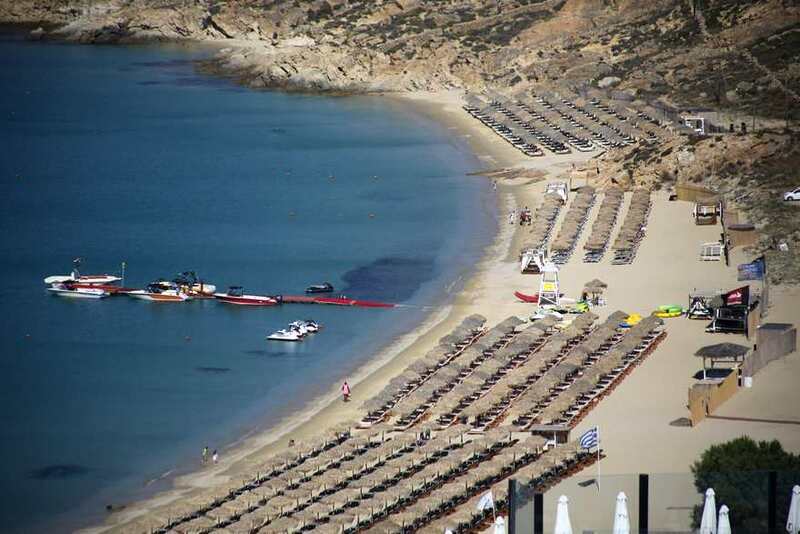 Actually it is not one beach, but three (3) large beaches and several smaller ones joined together. 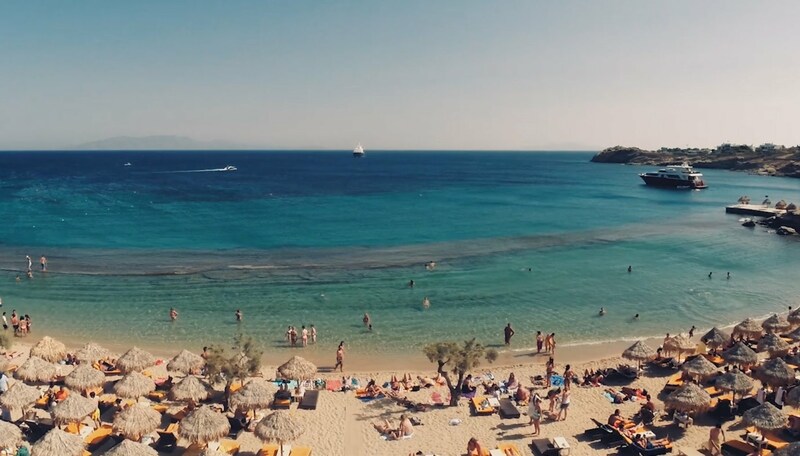 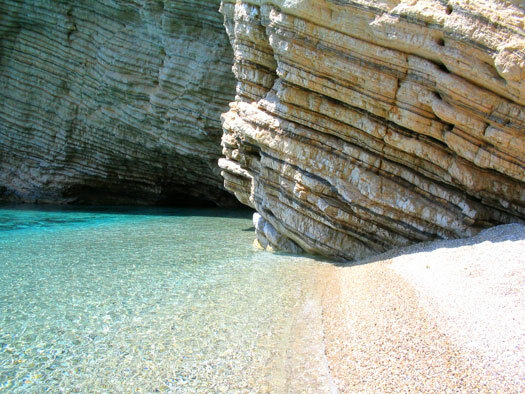 With pure sand on the shore and crystal water, no wind to make your swim uncomfortable and a huge rock to dive Manganari beach is one of the beautiful beaches in the Aegean. 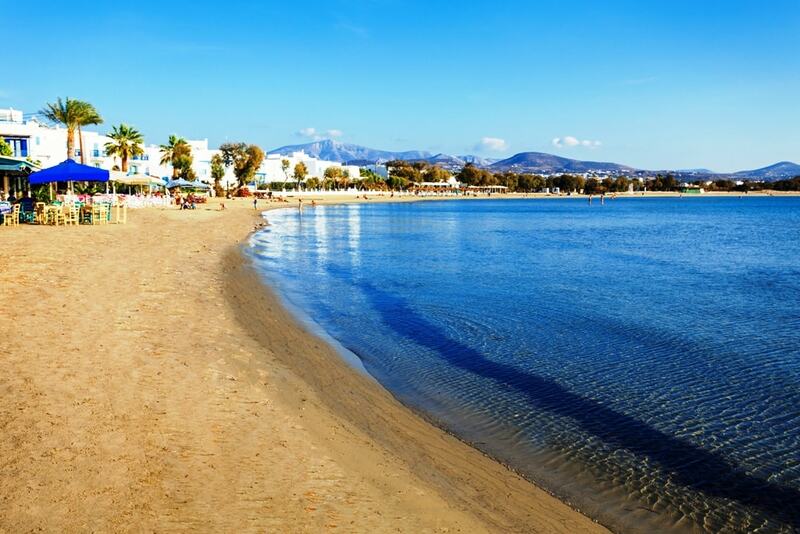 A pure exotic landscape and the right conditions for families with children. 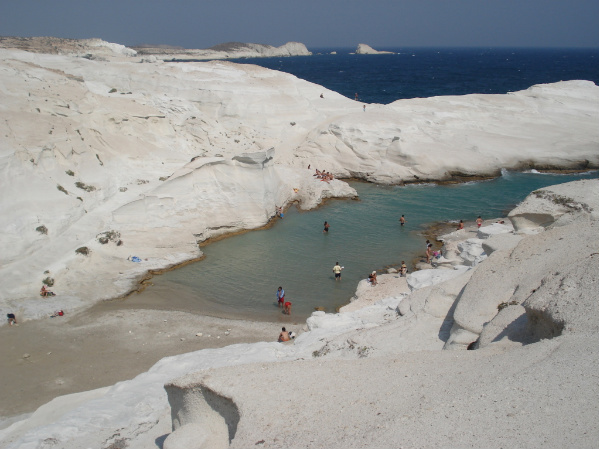 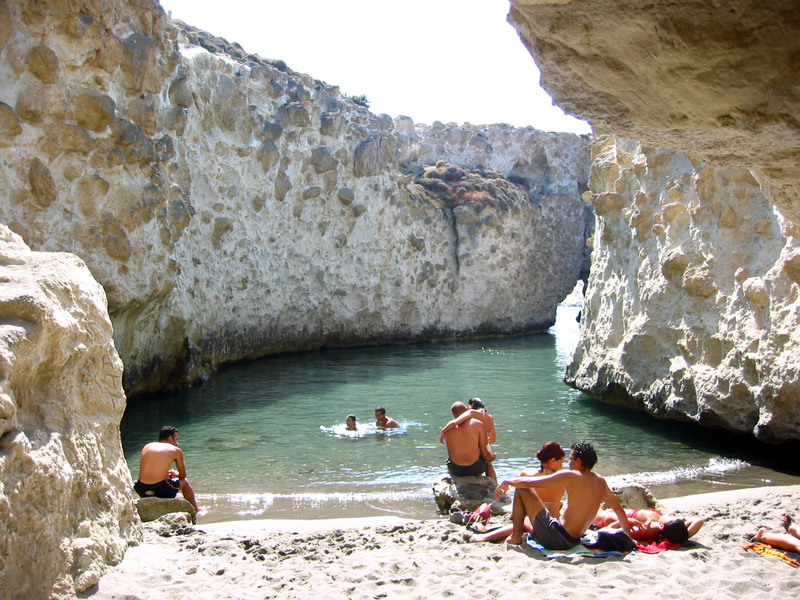 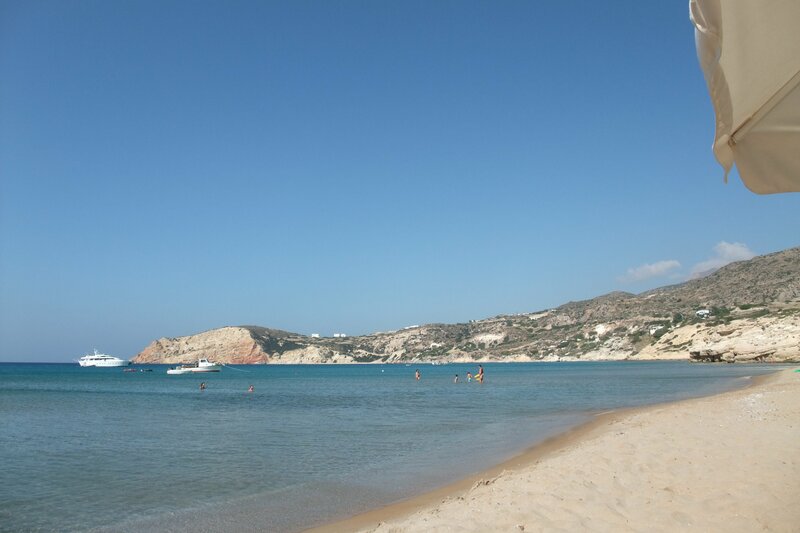 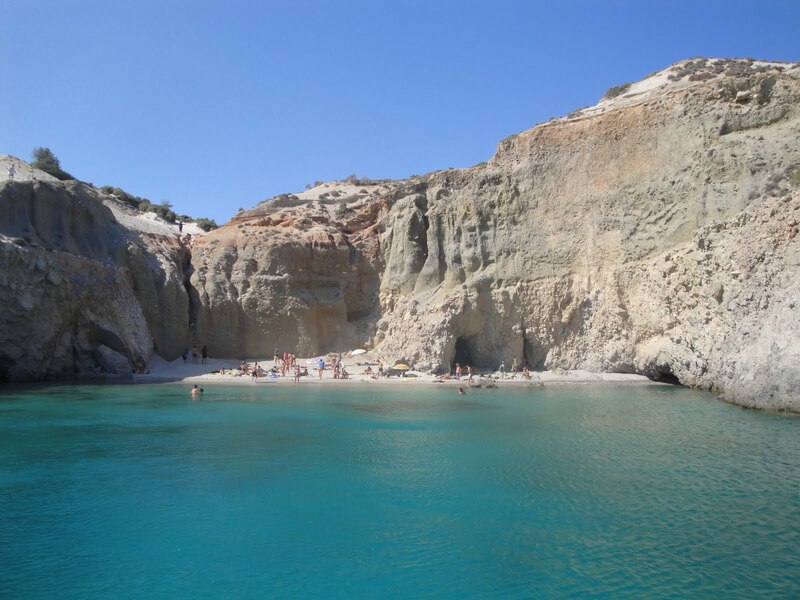 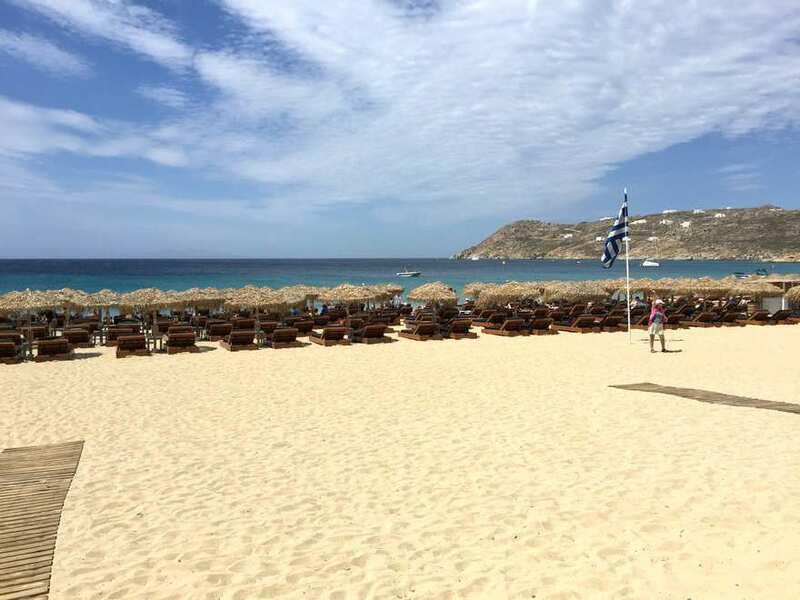 Ios Mylopotas Beach is located 3 km from Ios Chora. 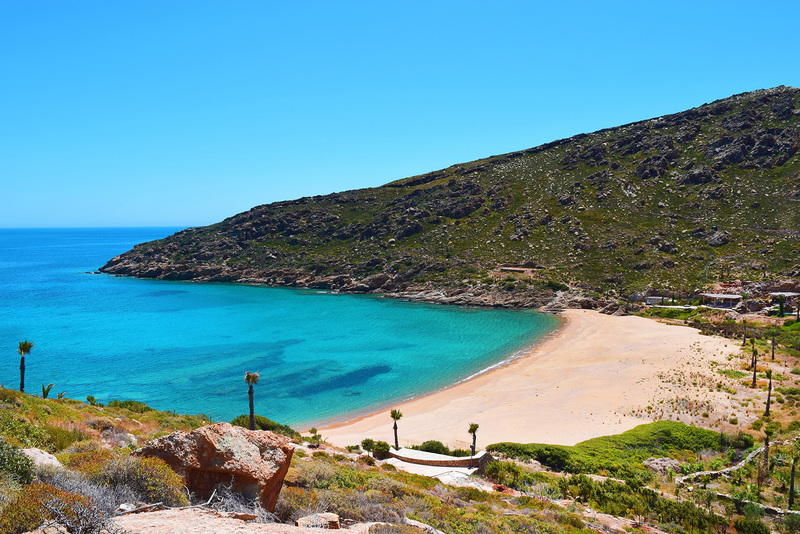 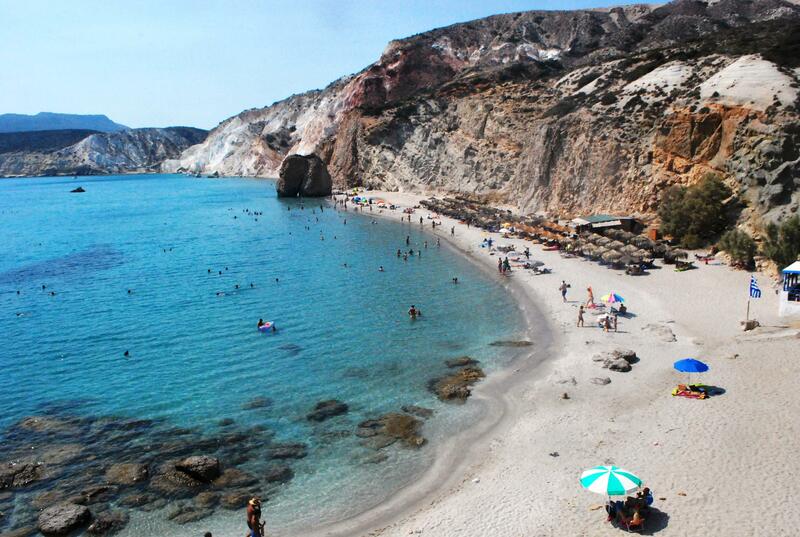 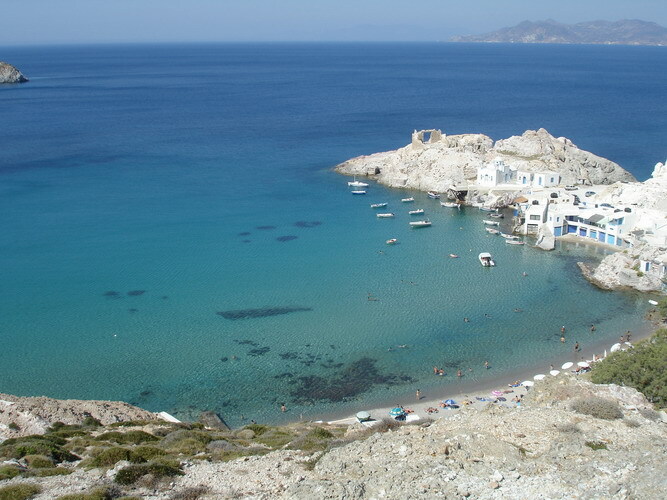 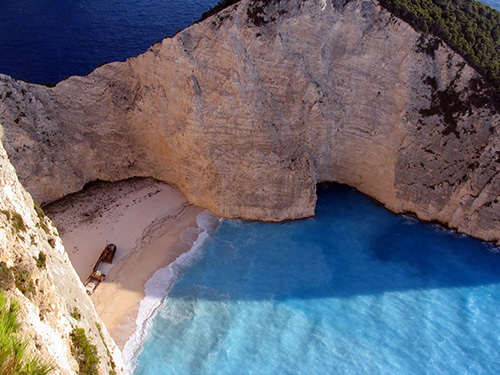 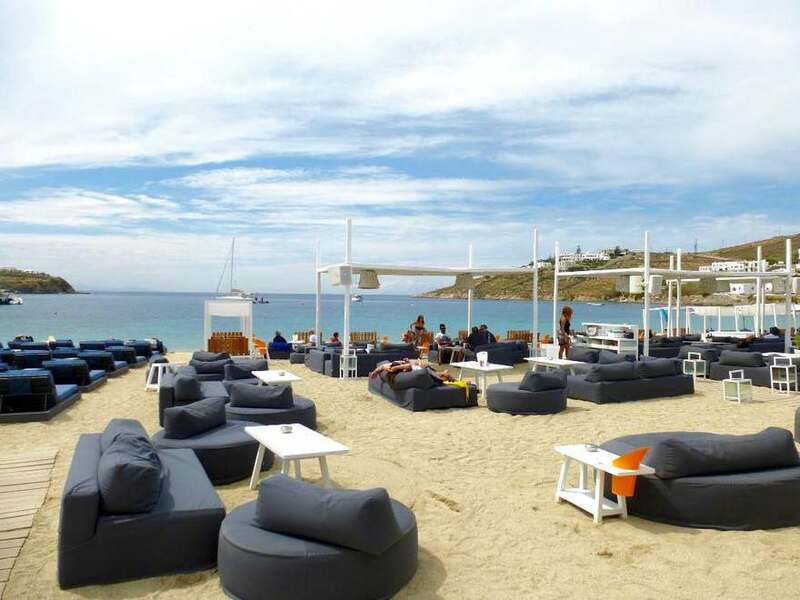 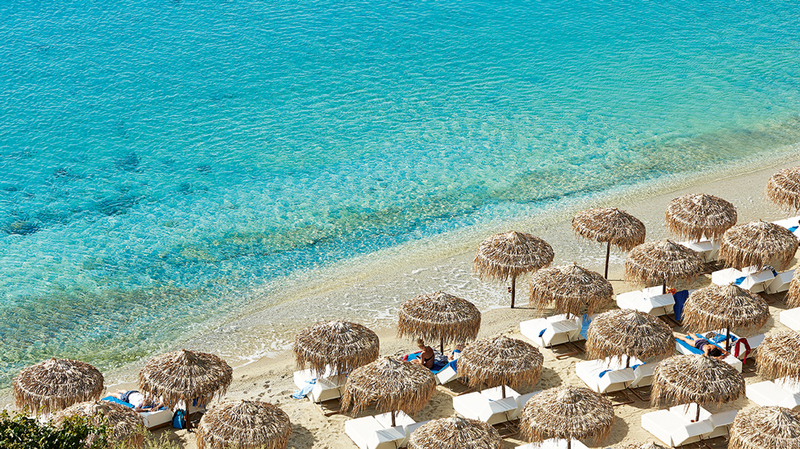 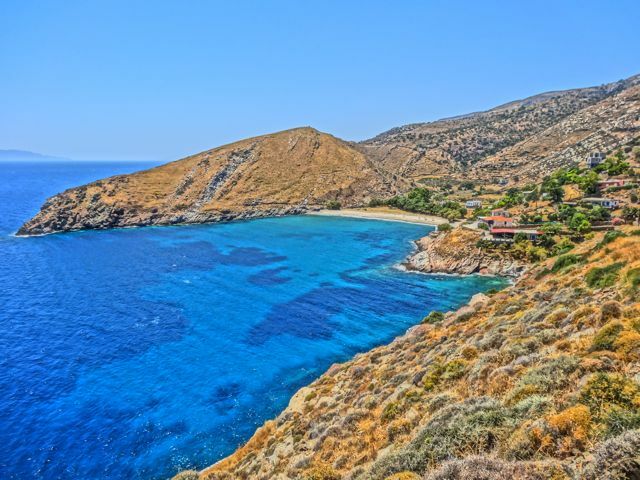 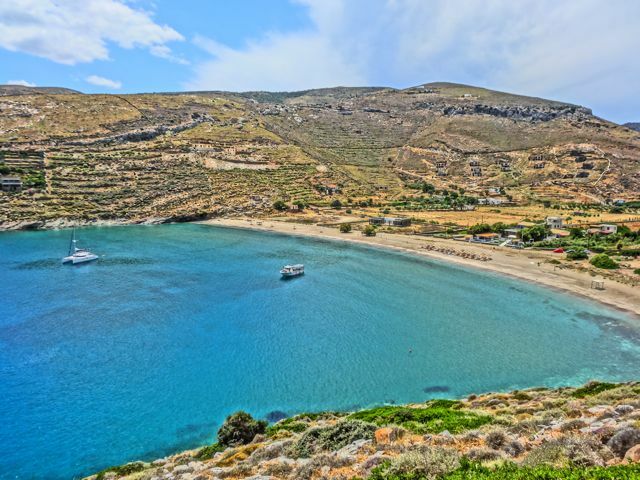 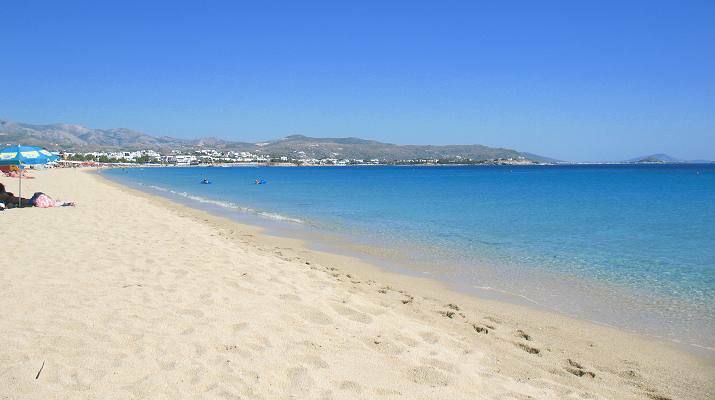 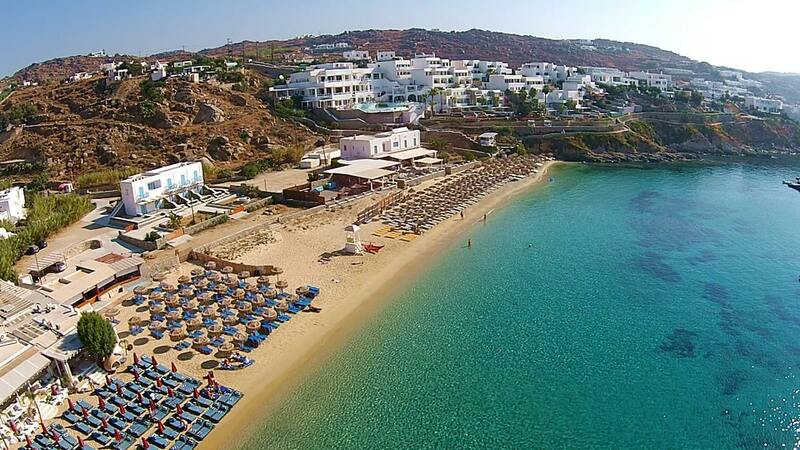 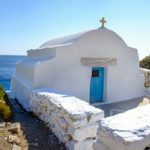 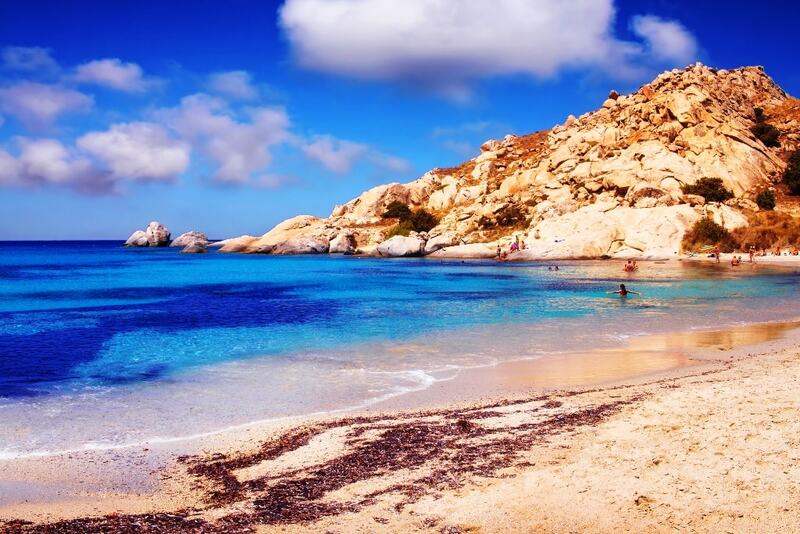 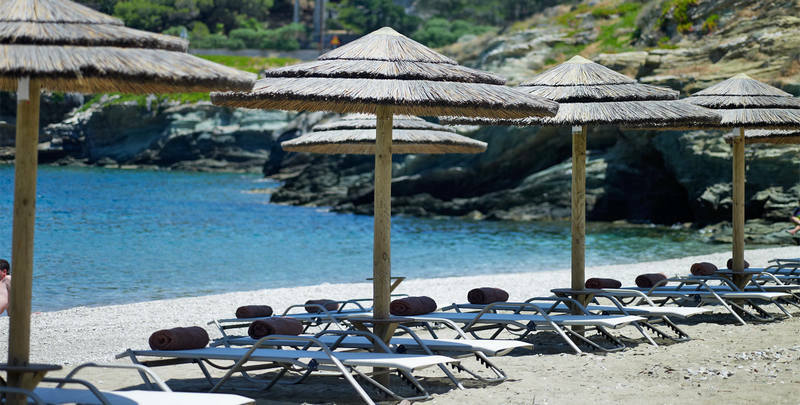 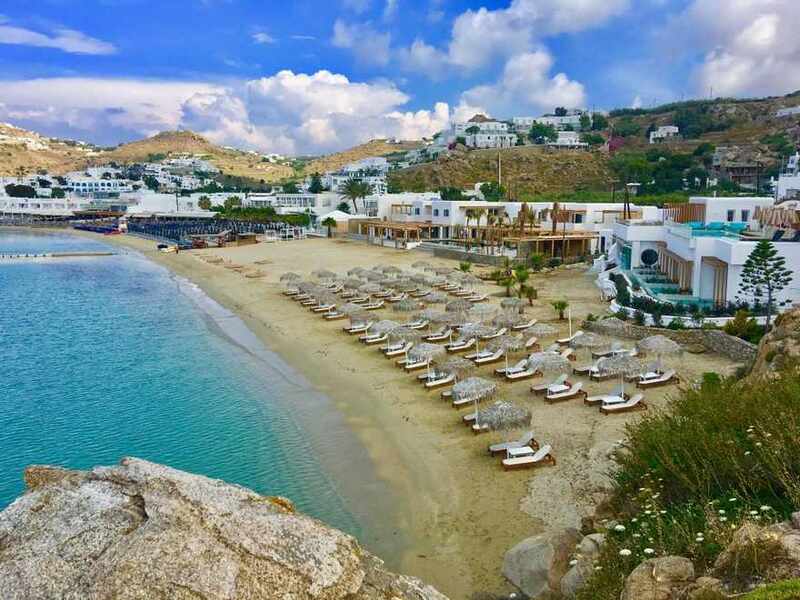 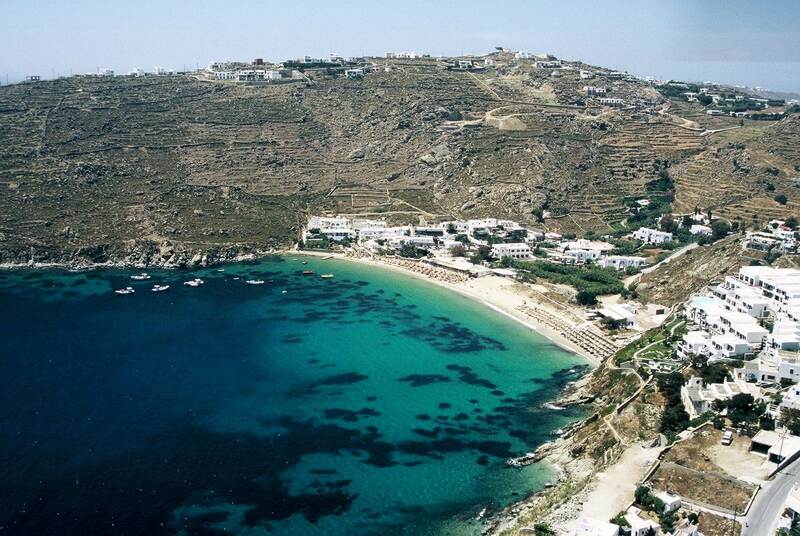 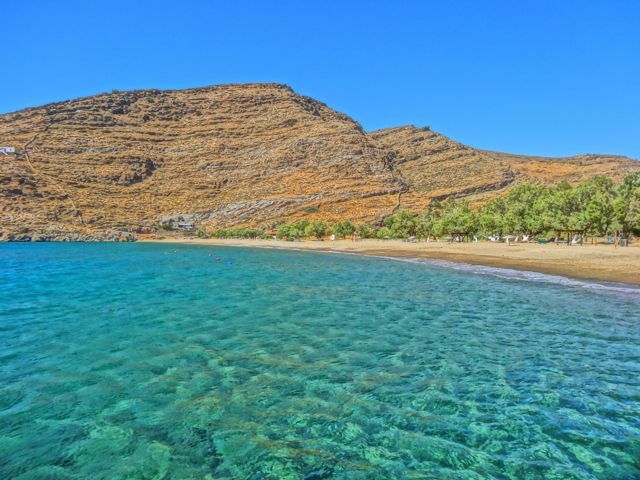 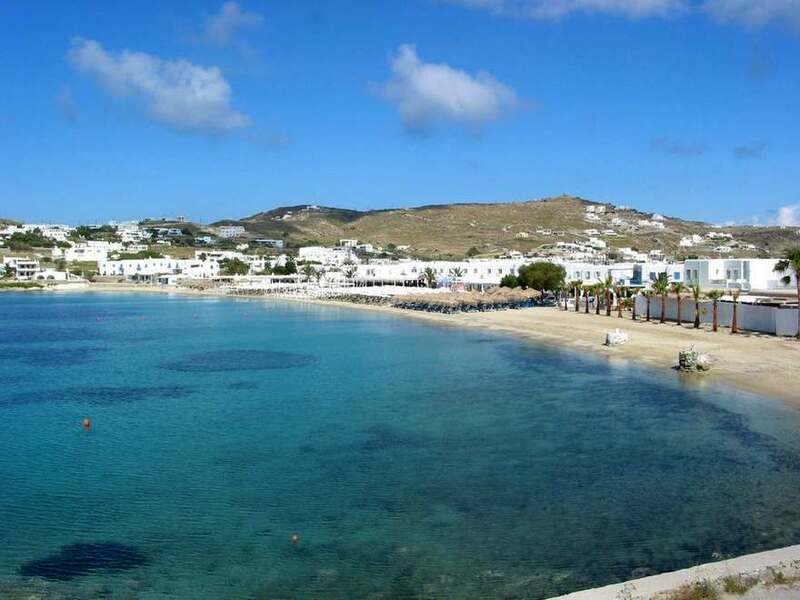 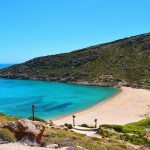 It is the most popular and busy beach in Ios and also one of the most popular Cyclades. 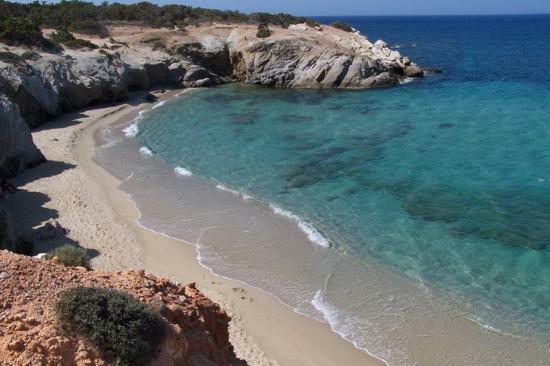 Mylopotas beach is known for its long sandy beach with lenght almost to 1 km and fantastic tourist facilities. 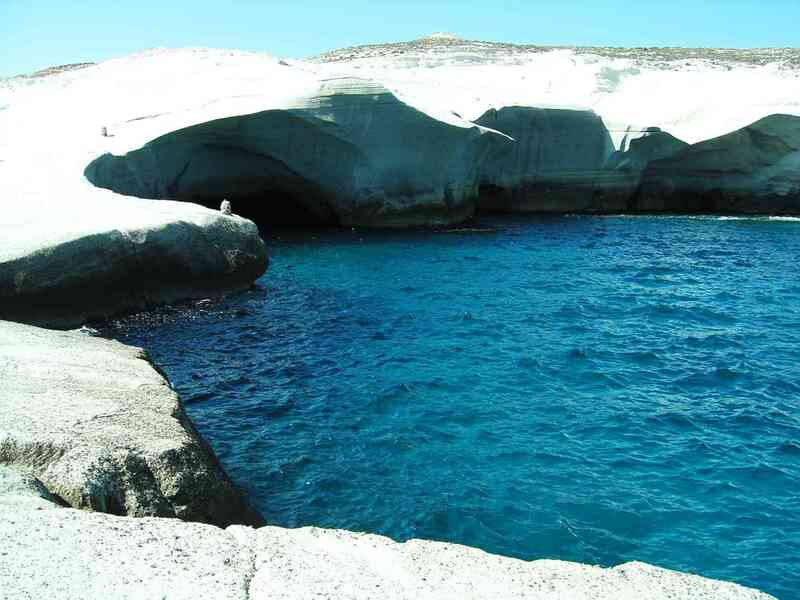 It is surrounded on two edges of the rocks which are also its limits. 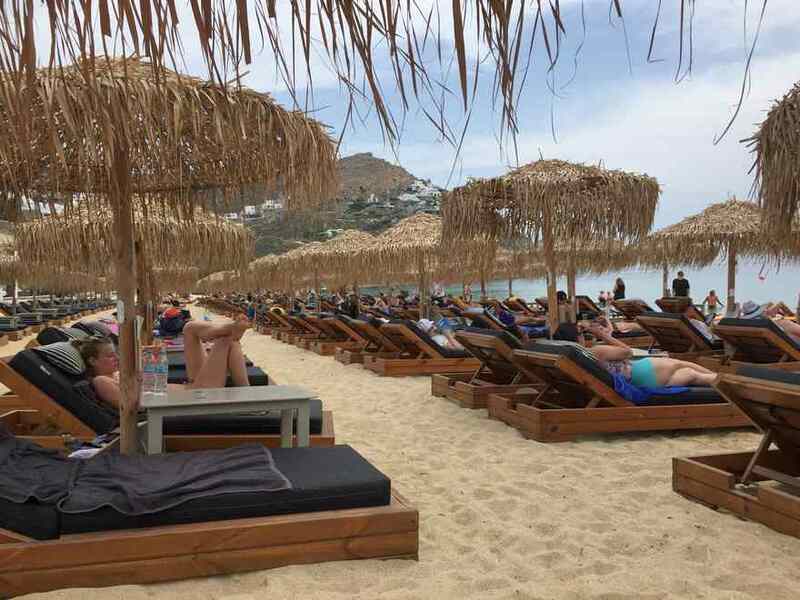 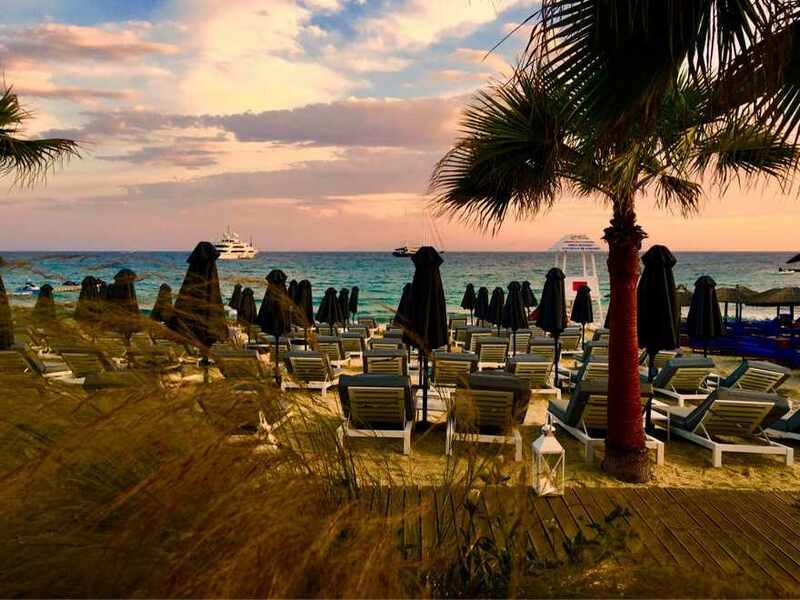 The beach is extremely organized with beach umbrellas, deckchairs and also lots of water sports facilities like jet-skiing, water skiing, windsurfing, canoeing, etc. 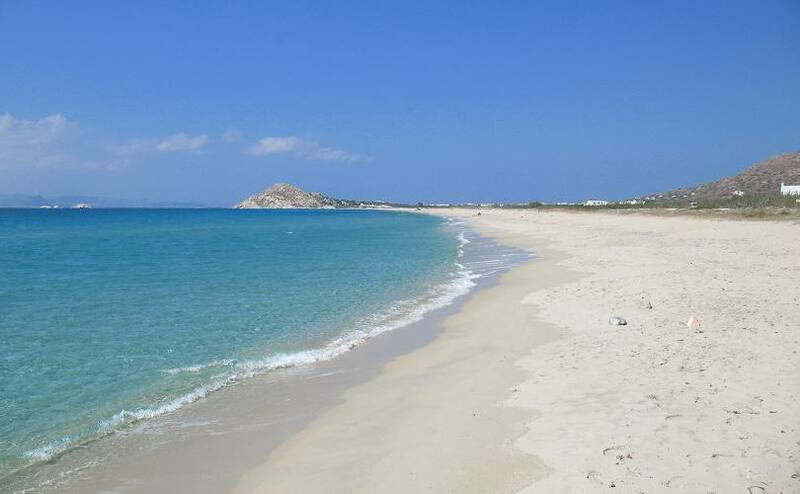 Ios Papa Βeach is located seventeen (17) kilometers from the port of Ios. 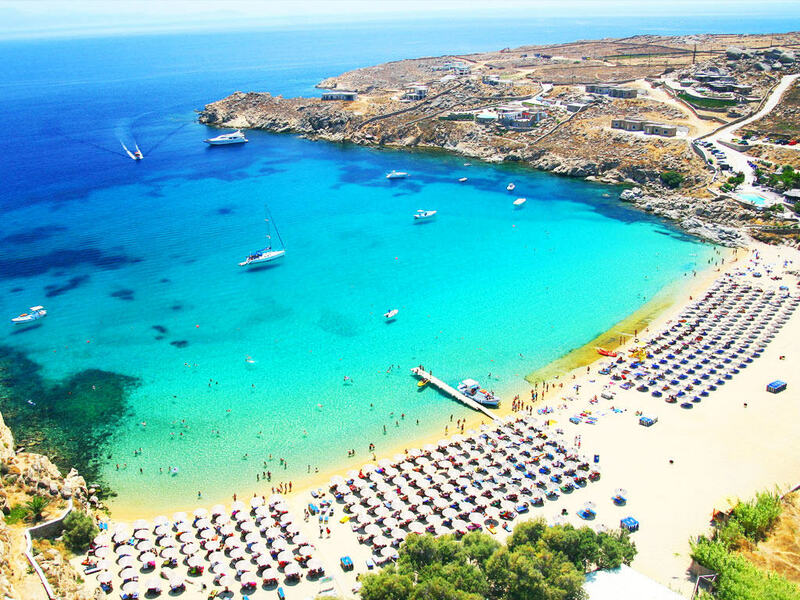 The crystal clear waters in shades of blue and deep blue, the soft white sand and the countless palm trees makes Papa Beach Ios a standar destination for visitors.